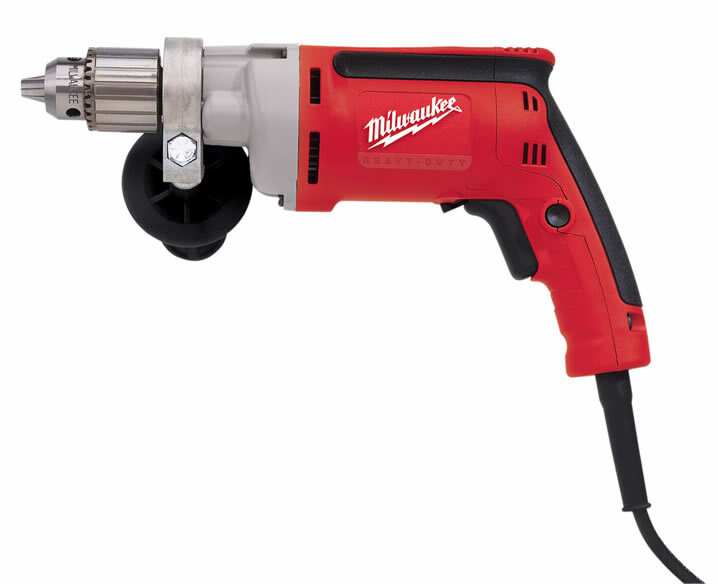 When the job calls for power, Milwaukee's 0300-20 1/2-inch drill delivers, with the best power-to-weight ratio in its class. The variable-speed control allows the drill to operate smoothly between 0 and 850 rpm, while a 360-degree locking side handle provides added stability and power on high-torque jobs. Ergonomically designed to maximize user comfort while still providing ample power and strength, Milwaukee's 1/2-inch drill features grooved slots, making it easy to run the drill with the hand directly behind the drill's body, while operating the trigger with the pinky and ring fingers. A smart buy for any job site, this drill will also appeal to the home user looking for the top of the line.